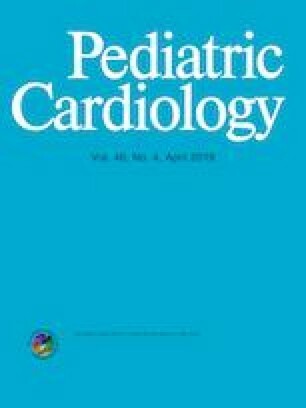 Outcomes for patients with single ventricle congenital heart disease (SV-CHD) continue to improve over time. However, the prognosis for patients who develop heart failure immediately after surgery is poorly understood. We conducted a single-center, retrospective cohort study of patients with SV-CHD, who suffered postoperative heart failure. Of 1038 cardiac surgeries performed on 621 SV-CHD patients between 2004 and 2010, 125 patients met inclusion criteria, including non-septatable anatomy, stage 1 surgery, and verified low cardiac output or heart failure state per STS definition. Overall survival was 73.2% at 2 months, 64.9% at 1 year, 60.5% at 2 years, and 54.6% at 4 years. Inotrope dependence beyond 7 days post-op yielded 45% 2-year survival versus 68% for those who weaned from inotropes within 7 days (p = 0.02). Atrioventricular valve regurgitation (AVVR) influenced survival, and patients who developed renal failure or required ECMO fared poorly, even when they survived their hospitalization. Patients with postoperative heart failure and low cardiac output syndrome constitute a high-risk population beyond the term of the initial hospitalization and have an overall mid-term survival of 55% at 4 years. Wean from inotropic therapy is not completely reassuring in this population, as they have ongoing elevated risk of cardiac failure and death in the medium term. Ventricular dysfunction, AVVR, renal failure, and need for ECMO are all important prognostic factors for mid-term mortality. Inotrope dependence for > 7 days has important implications reaching beyond the hospitalization. Michael G Foulks declares that he has no conflict of interest to disclose. Rika M. L. Meyer declares that she has no conflict of interest to disclose. Jeffrey I. Gold declares that he has no conflict of interest to disclose. Cynthia S. Herrington declares that she has no conflict of interest to disclose. Kristopher Kallin declares that he has no conflict of interest to disclose. JonDavid Menteer declares that he has no conflict of interest to disclose. Informed consent was not obtained from all individual participants included in the study.